The Aspen is a remakable tree it I propagates itself primarily through root sprouts, extensive clonal colonies are common. Each colony is its own clone, and all trees in the clone have identical characteristics and share a single root structure, these colonies can go back over 80,000 years. 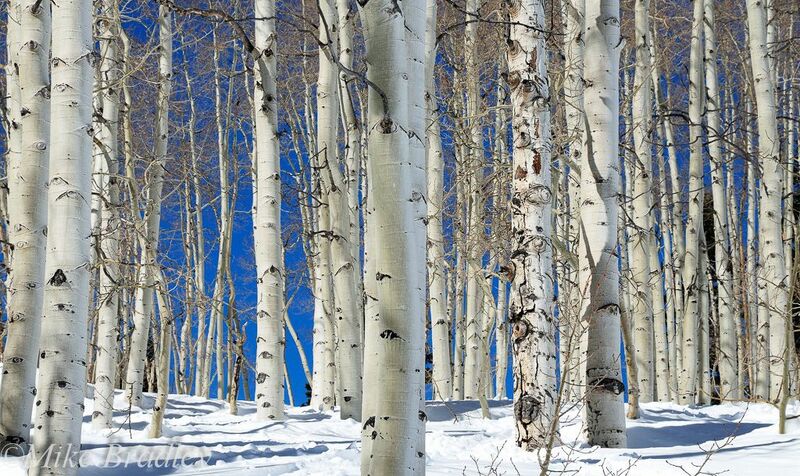 The eyes on these Aspens could have been watching us for a long time.